One stark difference was that in Paris, the attackers did not try to prolong the attack, unlike in Mumbai, and blew themselves up at the first hint of capture. At 6 am on Saturday, Rupen Doshi was surprised to see several WhatsApp messages on his phone. It was when he checked them that Doshi realised Paris was under attack. 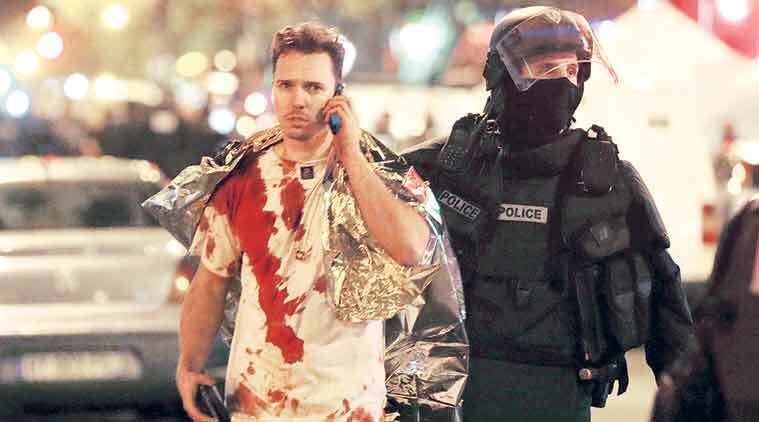 He immediately called up his relative, Darshal Shah, who lives in Paris, to check up on him. Shah was safe, but Doshi hardly felt reassured. A survivor of the November 26, 2008, serial attacks in Mumbai, he felt himself transported back to that horror-filled night, just 12 days before its anniversary. Doshi lost a friend that night at the Oberoi Hotel attack. Govind Singh, currently employed as an accounts manager in Vile Parle, used to work in a restaurant behind the Taj Hotel when the 2008 attack happened. He said the images he saw from Paris were “eerily similar”. “It was the same style, the way they (bombers) spread out and attacked everything simultaneously. The gunfire sounds must have been similar. I think the only difference between the Paris attacks and Mumbai is that the attack on the Taj continued for three days,” Singh said. The 38-year-old had himself stayed locked inside his office for two days, finally being rescued on November 28. Bharti had been part of the 26/11 probe team and had questioned Ajmal Kasab, the sole terrorist to have survived and been captured alive. However, Joint Commissioner of Police (Crime) Atulchandra Kulkarni said there was a crucial difference, the foremost being that while the 2008 attack was carried out by the Lashkar-e-Toiba, the Paris perpetators are suspected to have been motivated by the Islamic State. Kulkarni pointed out that the IS by nature was a different organisation, with thousands of radicalised fighters all over the world. Bharti also conceded that another stark difference was that in Paris, the attackers did not try to prolong the attack, unlike in Mumbai, and blew themselves up at the first hint of capture. The other question foremost in most minds in Mumbai on Saturday was whether the city was better prepared now to hold off a Paris-like attack. Thane Police Commissioner Parambir Singh, who was positioned outside Cama Hospital during the 26/11 siege, says not just Mumbai but even its satellite towns were now better equipped. “We carry out regular security drills and the sense of security has improved since 26/11,” he said. The coastline remains vulnerable too, with its length going up to 330 miles in Maharashtra. The Coast Guard has time and again written to the state government on the problem posed by fishing trawlers. “We have highlighted non-cooperation by fishermen, who refuse to share details of their crew members,” a senior official said.